On our way to the mall yesterday, we've heard a good soothing voice singing Christmas carols, Since, it is very crowded that time, I could hardly see who's singing. My daughter told me that the one singing was a blind man along the walkway. He is equipped with a very old and basic sound system and a harmonica. I'm sure that he is not using best blues harmonicas but the sound of his voice is good enough to entertain the by passers. He's doing this for a living I know but I admire him that he doesn't simply ask for alms despite his disability. He made use of his talent to entertain people and he gets some donations from those who felt happy with his songs. Christmas is truly about giving and sharing and this simple joy of helping others who are in need always brings that joyful feeling. 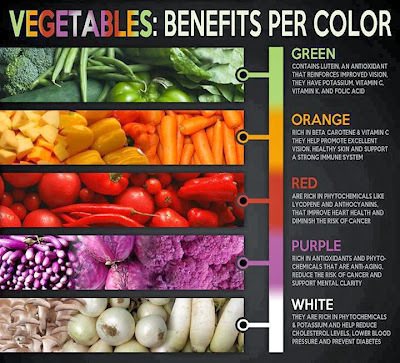 Going back to the chart above, it's also best to educate ourselves on what forms of health benefits we could derive from certain vegetable groups, so we could make sure that we're getting all the minerals and nutrients that we need on a daily basis. 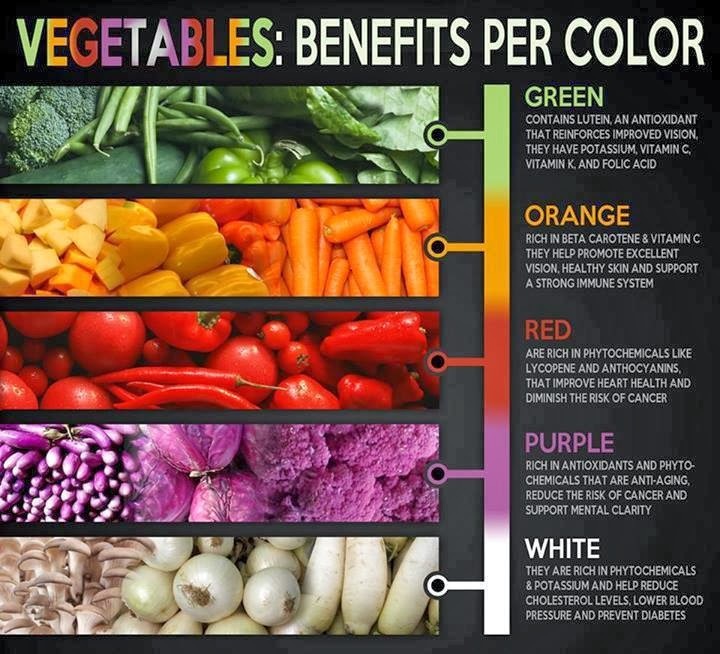 Each color of vegetables presents certain nutritional benefits which is essential in maintaining our optimum health. One of the best ways to figure out what you feel like eating is to eliminate foods you don’t want. For example, you may automatically be able to eliminate sushi from your list. Maybe Mexican food sounds horrible to you on a particular evening. If you can narrow down your choices, you’ll have much better luck finding restaurants in Ormond Beach. Pizza is a safe bet because really, how bad could pizza ever be? It’s good for families since you can all split a pie or two. Most pizza restaurants offer many Italian dishes besides pizza, like traditional or baked pasta dishes. Some of the best rated in the area include Stavros Original Pizza House and Genovese’s Italian Café. The former features Greek salads, grinders, and spaghetti along with a variety of pizzas. The latter offers Italian favorites like Calzones along with low-fat pizza options that have no mozzarella cheese. For more a more elegant Italian dining experience, you could try a place like Toscana. Since you’re on the coast, you might be feeling like eating some shellfish or other seafood. One popular option in the area is Alfie’s Restaurant, which offers seafood along with other American food like sandwiches, to appease your pickier family members or friends. The perk of this restaurant is that they serve all meals, including breakfast. They’re also situated right on the coast, so you can have an ocean view while you eat. Betty’s A1A Café and the Bonefish Grill Restaurant are other highly ranked seafood restaurants in the area. Another option for your palate is to stick with comfort foods like sandwiches, burgers, steaks, and other American food. The great thing about visiting American restaurants in Ormond Beach is that they often offer much more variety than other places do. For example, D.B. Pickles Restaurant offers American food, Italian food, kosher food, and they have a bakery which includes pies, cookies, and cakes. The Stonewood Grill and Tavern is a higher-priced and highly ranked American restaurant you may want to consider as well. Simply decide as a group what foods you feel like eating, and how you can appease the group while staying in your budget. Despite of the many difficulties a woman is facing. I am still very glad that I am a woman. No doubt that being a woman, we expect so many challenges in our daily lives and being a wife and a mother is perhaps the most challenging one. I would admit, I'm not a perfect woman! I have so many flaws and I sometimes arrived at wrong decisions in life which I later on regretted but I also believe that there is no perfect life but we could fill it with perfect moments. 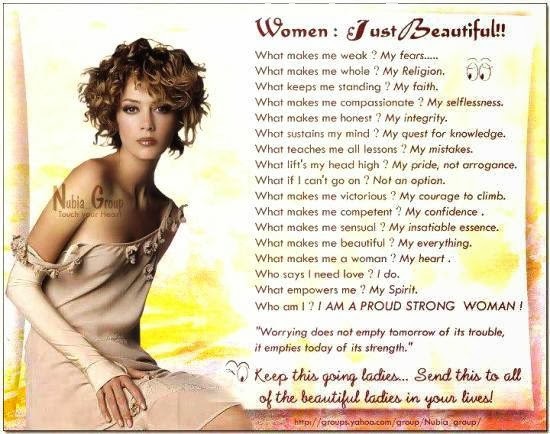 When I was a kid, I always tell myself that I'm going to be a righteous woman, a perfect model, a perfect me! But boy, I was still a kid that time, I don't know anything. I thought that life is so simple, uncomplicated. But I was wrong. Life is full of difficulties, of challenges, of trials and hardships but on the process, I've also learned that what makes my life meaningful as a woman is not keeping it perfect but being able to stand firm and whole despite of whatever trials, challenges, mistakes and failures that I have experienced. I know God promised me a good life but He never promised me a smooth road, so it's up for me to enjoy both pains and sorrows, happiness and triumphs in search for a good and happy life. :) That makes my life more colorful. Asbestos is a natural mineral that was once used in homes, building, products, equipment, and machinery for its natural ability to withstand fire and extremely hot temperatures. Asbestos-containing materials (ACMs) were used heavily in residential homes prior to the Environmental Protection Agency (EPA) regulating its use. The regulations came after years of research and study, which confirmed that asbestos is the leading cause of harmful diseases, including asbestosis and mesothelioma cancer. Many asbestos disease victims are now taking legal action against asbestos companies. If you live in a home that was built prior to the early 1980s, there is a possibility that your home was built using ACMs. It’s crucial to understand the dangers of asbestos and how to protect your family from disturbing it. Many appliances, particularly furnaces, were heavily riddled with asbestos during the manufacturing phase. As previously mentioned, the fire and heat-resistant properties made asbestos a popular choice prior to the mandated regulations of its use. Even though regulations were set forth to limit the use of asbestos, the millions of homes and appliances that were made using asbestos were not destroyed or banned. In fact, there are a multitude of asbestos containing public school buildings, churches, and libraries that are still in use today. Fortunately, the Occupational Safety and Health Administration (OSHA) has federal laws in place to help promote safety in public buildings should asbestos become disturbed. As long as asbestos remains undisturbed, there usually is no alam for concern. However, if you live in an older home, make sure that your kids don’t roughhouse or play anywhere near appliances or other areas and products that may contain asbestos. According to the Centers for Disease Control and Prevention (CDC), typical products that may contain asbestos include pipes, insulation, ceiling caulk, joint compounds, and vinyl flooring. In addition to the home, children should never play around or in any old sheds or abandoned buildings. Although these structures may seem exciting for kids, there is a chance that airborne asbestos fibers are hovering around. It’s easy to inhale these fibers, yet it’s almost impossible to remove them from your system. Since most signs of asbestos-related diseases don’t surface until several decades after asbestos exposure, you won’t be able to tell if your children have accidentally inhaled asbestos fibers until its much too late. There isn’t a way to spot asbestos with the naked eye, so if you have an older home, it’s absolutely imperative to seek out a qualified asbestos technician before you begin any repairs or renovations on your home. Even something as minor as sweeping up dust around a broken furnace may stir up asbestos fibers. If you have a broken appliance, close off the area until it can be checked out by a state-certified asbestos professional. Inform everyone in your family about the dangers of working and/or playing around asbestos, but do not panic. In most cases, asbestos can be encapsulated and disposed of properly without incident as long as proper precautions are made. Remember our first shih-tzu pet Lucio? 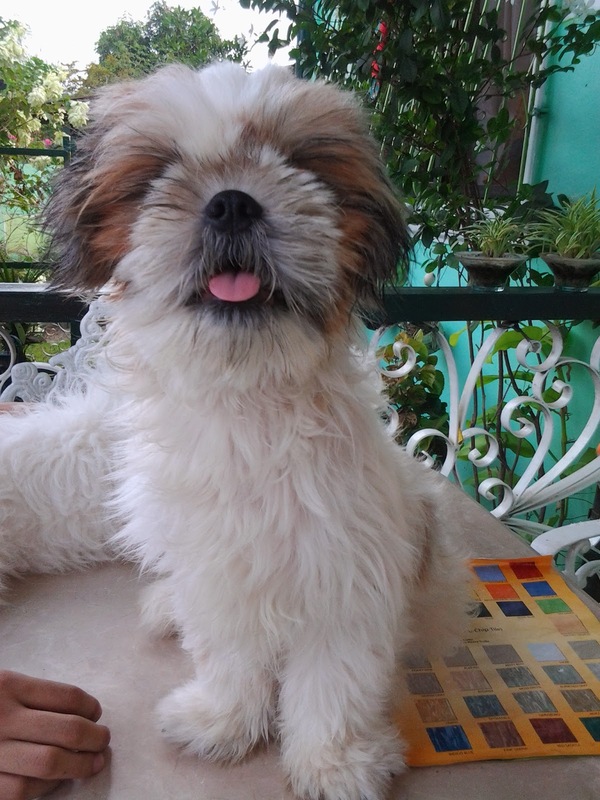 He is the first shih-tzu pet in the house which I bought for my daughter Mika Ella. 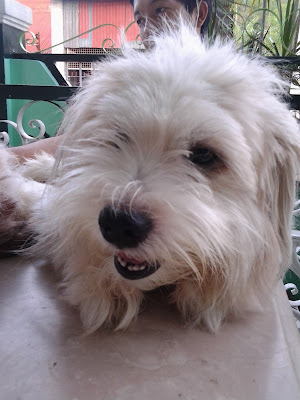 Mika was able to acquire her pet after a long time of non stop requests from me. I would admit, I don't want to have one at first since I do not welcome the idea of putting too much effort in looking after this pet. I've heard that having one in the house is tantamount to having another baby in the house. Indeed, this is true. It seemed that we have adopted another baby in the house (lol). A year after and to my surprise, I've found another one male shih-tzu in the house when I get back home to spend my long leave. 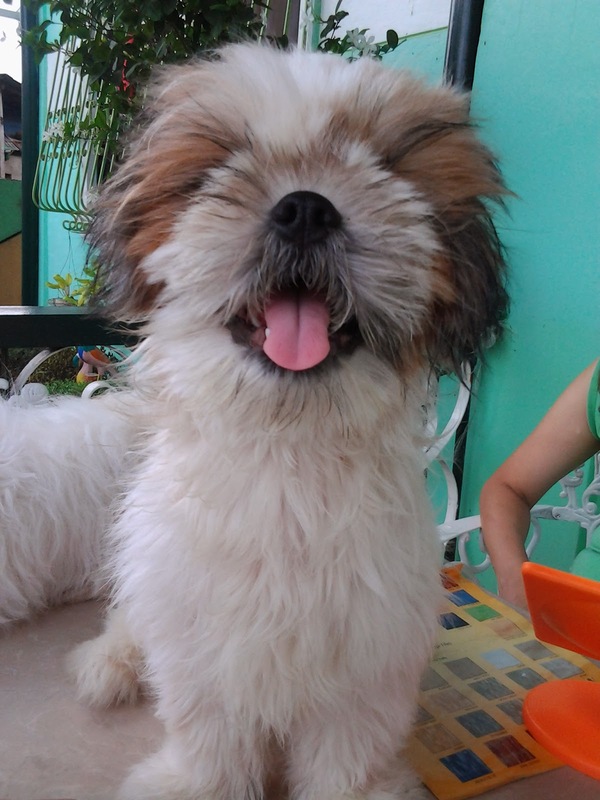 My son told me that his friend in school gifted him with another shih-tzu pup which my daughter later named Marcus. At first, I was really worried about having two pets in the house. I am a person who loves to clean and organized and it seemed that this couldn't be achieved with two cute little pets running around the house. But these two are so adorable that the difficulty brought about by looking after them was replaced with "sheer joy". We've learned to treat them as members of the family and they are always a part of our everyday life in the house. 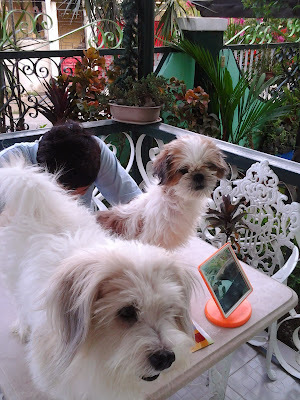 As a matter of fact, even my husband fell in love with them and treats them as his own children (lol). Now, I would say that our bonding time in the house always includes spending time with them. 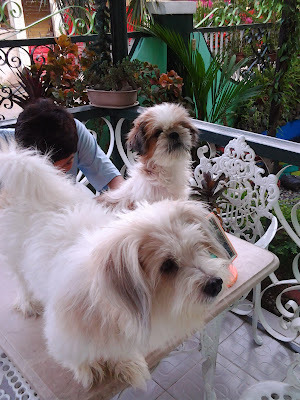 In fact, now that I'm already a WAHM, these two are the ones who keep me company everyday. Christmas shopping can be very stressful, but it doesn’t have to be, especially if the person you’re shopping for is a golfer. Some people golf a lot, and some people only get out a few times a year, but any golfer is going to appreciate a quality golf-related gift, like one from Pacific Links International. Sure it may be winter, and whatever gift you choose may have to wait a few months before it sees any use, but there are a number of reasons that golf gear is a great gift regardless of the season. Many golf-related gifts, especially clubs, last a very long time, which is part of what makes a great gift. When a golfer finds a good set of clubs, they’re going to want to keep it for as long as possible. Some sets of golf clubs last decades and some even get handed down to the next generation. Clothes go out of fashion, and electronic devices become irrelevant within a few years, but a good set of golf clubs will be useful for many years to come. There are plenty of golf-related gifts to choose from, so you can find one that fits your budget. There are clubs, bags, apparel, and passes. You can even purchase vouchers for golf lessons, as long as the recipient doesn’t take that the wrong way and is humble enough to take some instruction. Whether it’s a white elephant, a small gift for a coworker, or a large gift for a family member or spouse, you can find some golf gadget, apparel, or balls that will be appropriate. It’s the fear of every gift giver that the recipient is never going to actually use the gift, but there’s little chance of this with golf items. Even if they only get out a few times a year, golfers always find their way back to a course, and when they do they’ll be excited to use their new gear. If the recipient is an avid golfer with a membership like those offered by PacificLinks International, your gift could end up being the most used gift they receive all year. 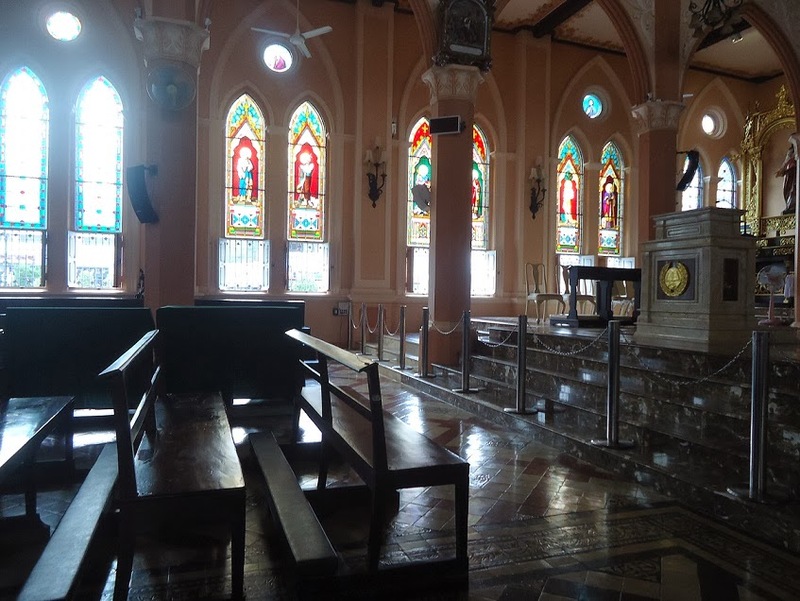 It was not long ago since my last visit to Chantaburi Thailand and every time I visit the place, I would always take time to drop by at the one and only Catholic church in this province of Thailand. Immaculate Concepcion Church though is considered the biggest Catholic church in the whole of Thailand and it was very fortunate for me that it is located in Chantaburi which is just an hour ride from where I worked in Cambodia. I'm staying at the boarder so Chantaburi is very accessible to us. I paid a visit to this church once again even though I've already visited it last time because that time, I am already thinking of resigning from my job and go back home to the Philippines for good. 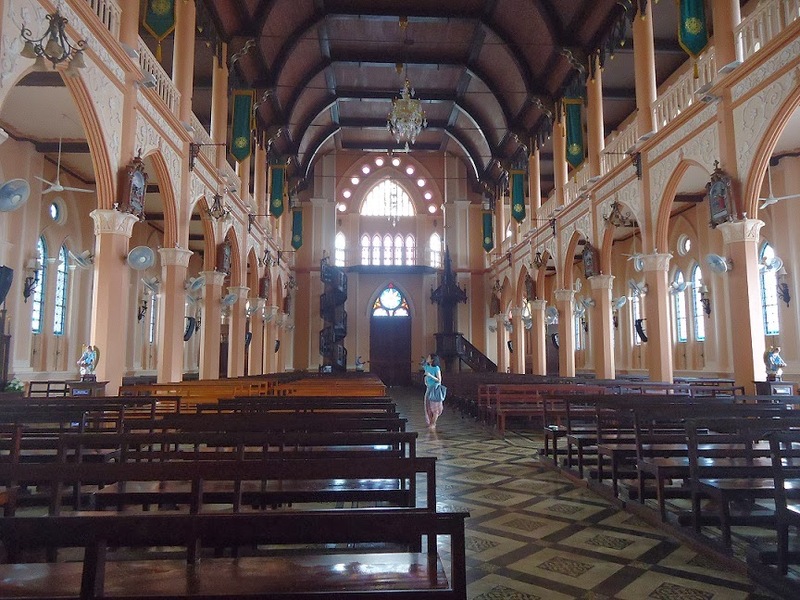 I am not sure whether that would be my last visit to the church though as in case we go back to Thailand, we're probably just stay in Bangkok or perhaps in Phuket. But I will always have good memories of this very big and beautiful church. 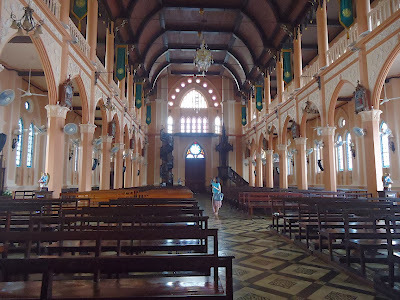 I will always remember this church and this nice province of Thailand. I guess a lot of people are already starting to plan for their traditional Christmas parties whether be it at home, at school or at work. 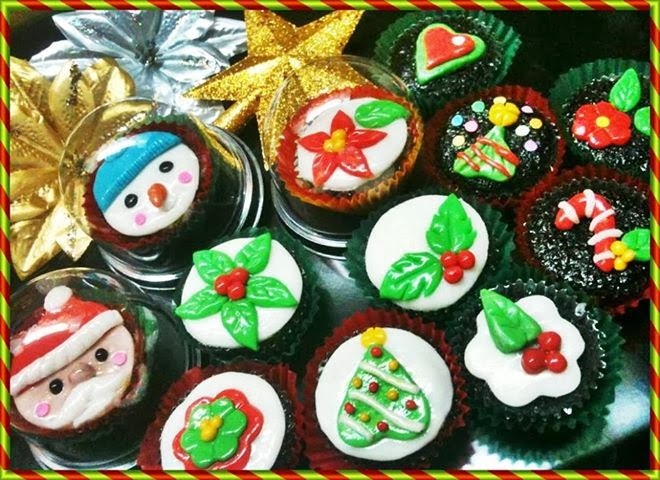 There's always a great fun and excitement associated with having parties but Christmas season will always be special as this we consider as the most special time of the year. 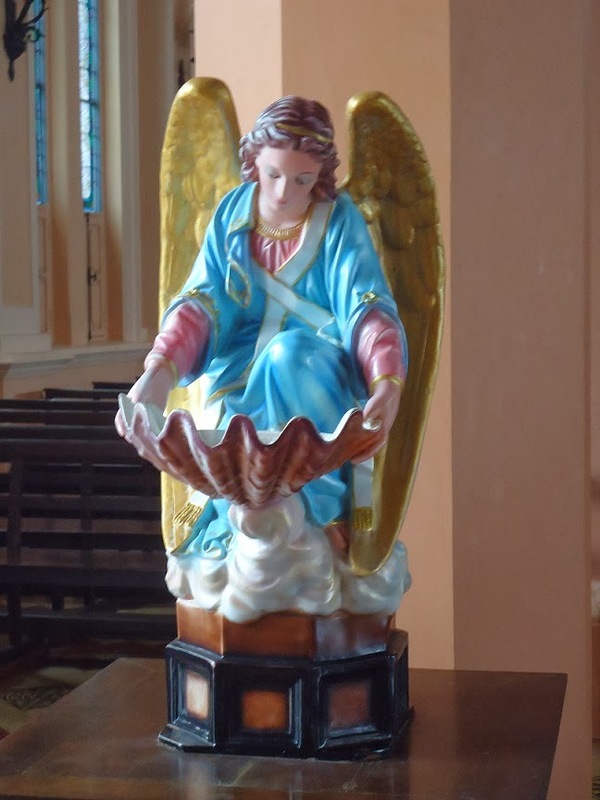 It is during this season that we get closer and nearer to our families and friends and of course to our saviour Jesus Christ. It is a time for giving and sharing and showing our loved ones how much we care for them. But how do we normally celebrate Christmas? Well, aside from the traditional dinners, we also have exchange of gifts and greetings. Attending the holy mass is one important part of the celebration and of course, chatting and non stop singing and dancing always follow. Some families are even renting videoke sets and some are using special sound system to make their party more festive while the teenagers usually love to play guitar and other modern musical instruments like cool martin backpacker guitar at musicians friend. These will come in special Christmas packaging and will be good for parties as give aways or simply as personalized gifts to our families and friends. Our online customers are increasing in number and we have lots of repeat customers, so we are always on a look out for new ways to improve our products. All available at Marcus Cupkeys!. If you or a loved one has an OxyContin addiction, it can be a heavy load to carry. No one wants to be addicted to anything. You lose your ability to control your life and you become a slave to your addiction. You or your loved one does not have to continue to live a life of addiction. With help from professionals at Sherwood Hills and other such facilities, a life can be free from addiction and agency can be restored. It is important to understand what OxyContin addiction is and how recovery can be achieved. OxyContin belongs to a class of drugs called narcotic analgesics. It is a narcotic opiod pain relief. It is usually prescribed for pain relief after surgery or a major injury. OxyContin and Oxycodone are both the same drug, with different release patterns. OxyContin is a time-released opiod and is usually taken every 12 hours versus every 4-6 hours with Oxycodone. Most of the time, addiction comes after a person is legitimately taking the drug after for pain relief an injury or surgery. Because the drug can decrease anxiety, cause euphoria, and mental relaxation, many people get hooked on the side effects before they even realize it. Then, after they are hooked, they have to increase the amount taken because of a tolerance build up. Once an addiction is acknowledged, it is important that the person who is addicted is monitored by a medical professional, preferably at a clinic such as Sherwood Hills or other in-patient or out-patient facilities. The side effects of withdrawal from OxyContin can be distressing at best and deadly at worst. It is important to have medical professionals to help with the recovery journey. I've seen this quote a number of times in the past and until this very day, it never fails to convince me that this is indeed very true. Most of us had undergone defeats and failures in our lives in one way or another and when we're going through this stage, there is a big tendency for us to feel that it is already the end of the world as well as our lives. I myself had been guilty of this a number of times in the past. I'm a person who's having a difficulty coping up with heart breaks, be it due to relationships, family or work. Whenever I am confronted with a situation, I always feel that I'm all alone and helpless. I would lock up myself in a room and cry in pain but I'm glad that I've survived everything from my past. As what others used to say, time heals all wounds. This is very true. Sometimes, when you think about what happened in the past, you'll just smile and asked yourself, how are you able to have gone through all these difficulties in your life. 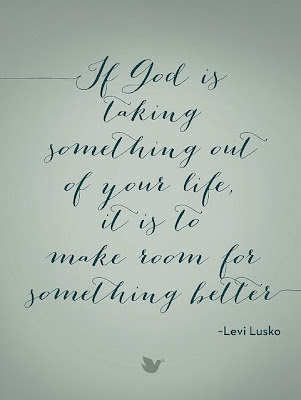 "If God is taking something out of your life, it is to make room for something better"
I have proven this many times in my life. I always have that strong faith in God because God always directs me to perform everything according to His will. 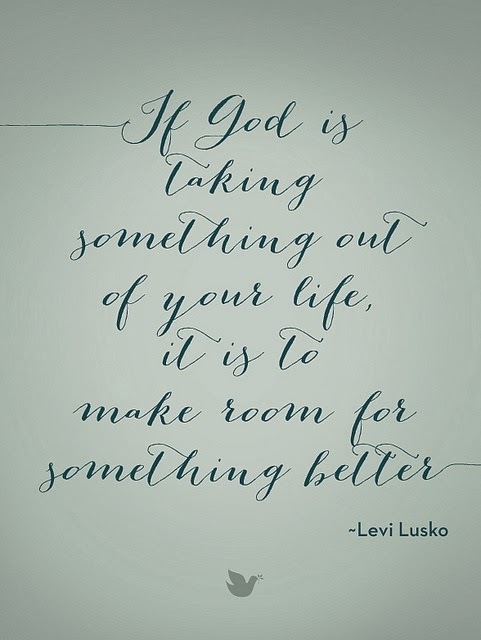 Sometimes, we may lose track of ourselves but God is always there to remind us to stop and redirect our path to what is good and right. I've been to most public places here in the Philippines and in some other countries in South East Asia but I haven't seen any facility provided for bikes. In Vietnam, motorbikes are the most commonly used means of transportation and you can find thousands of these on main roads. I got a culture shock the first time I set foot in Vietnam as I couldn't even cross the road for almost an hour due to heavy traffic. Believe me, motorists wouldn't give way to pedestrians and you have to find your way to cross the street. I remembered myself crossing the street together with the locals. I simply mixed with them whenever they cross the road, so it would be easy for me, otherwise, I will be stuck there the whole day. As motorbikes are widely used there, it is therefore very easy to find parking spaces for motorbikes on public buildings and private establishments. I think, it is a good idea for some private establishments to also provide bike shelters as there are also other people who love to use bikes when going around the city. 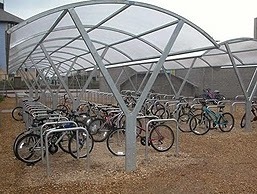 An ideal bike shelter should be equipped with a proper roof covering and several slots to accommodate as many bikes as possible. 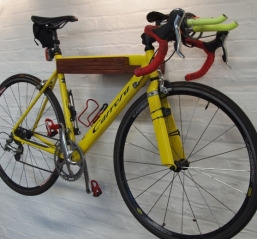 I've seen lots of nice designs online and this can very well fit on any parking space. 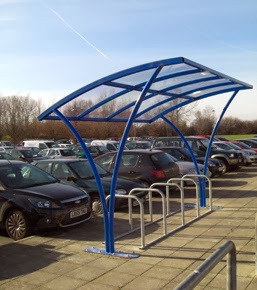 Bike shelters come in a variety of designs and materials and the most common ones are made with galvanized materials while the roofs are mostly made up of polycarbonate panels. 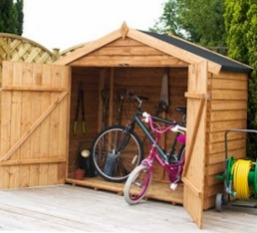 A bike storage shed can be very useful to the bike owners as these can protect their bikes from too much sun exposure which could damage their bikes. 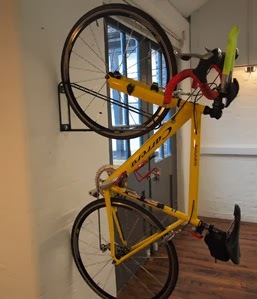 While some establishments provide bike racks, bike owners would surely prefer their bikes to be properly parked and stored. 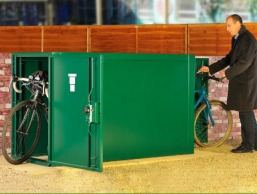 Beside this, a bike shelter installed in any parking space would give additional benefits and privilege to clients of certain business establishments and will also make the place more appealing to the general public. This could also create an impression that the business owners are caring enough for them and this can push them to become loyal visitors or customers. 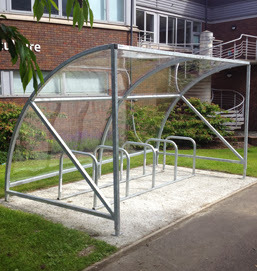 I think it is not so costly to have these bike shelters installed as these are normally durable and could last for up to 10 years when properly maintained. 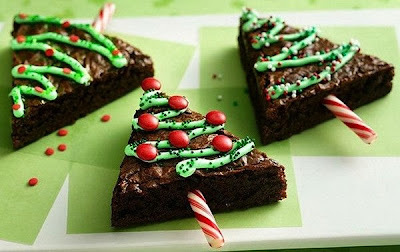 Very easy to prepare, just bake your usual brownies recipe, cut and shape into triangles, decorate with Christmas sprinkles and insert peppermint sticks and voila! 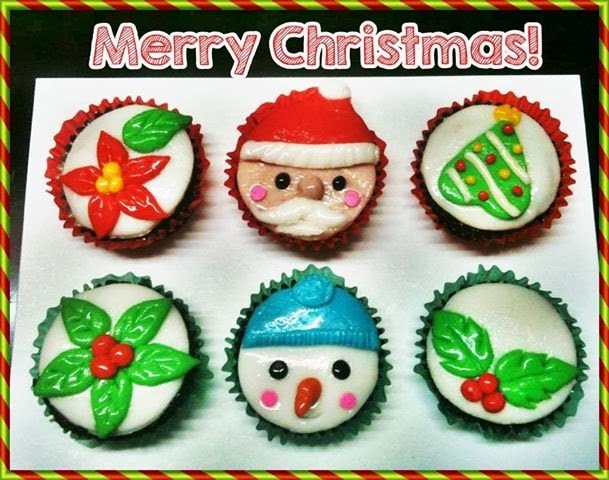 You now have cute Christmas dessert on your tables. As a home maker, being organized is one of my utmost priority. It increases my productivity and lessen my stress level. I always make it a point that I keep everything in order. It gives me a great sense of fulfillment when I see everything around the house neatly arranged, properly stored and organized. For me, what people see in your house reflects your kind of personality. If you can manage your things effectively, that means you have the ability to manage your home, your family and your life too. My family could attest to how much effort I exert just to keep everything at home tidy and organized. I even came up with some DIY projects just to keep my way of organizing things unique and personal, and I am enjoying every bit of it. The key to getting organized is making the most of your home storage. Every space counts. Proper planning and the right design is all what it takes to make the most of your home space. I felt the same thing for gardening. You don't need a huge land to start a garden as this can be done even in condos and apartments. Remember that an important factor in getting organized is your mindset. You maybe surprised to know that most of the successful people are those who are highly organized. They accomplished things because they value their time and skills and to them, being resourceful and creative is one of the secrets of getting organized whether at home or at work. As I was browsing online for some unique Christmas recipes, I found these cookie cutter pizzas which is just perfect for late Christmas dinner. 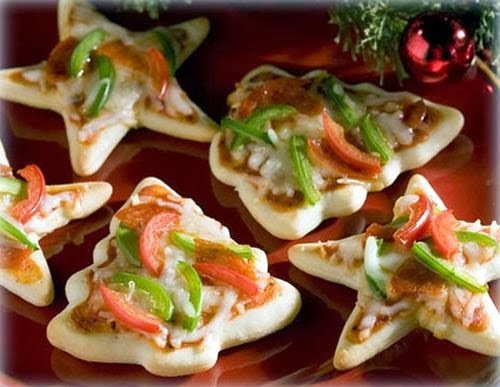 Instead of just preparing your pizzas the usual way, why not make your pizzas appear festive by using cookie cutters? 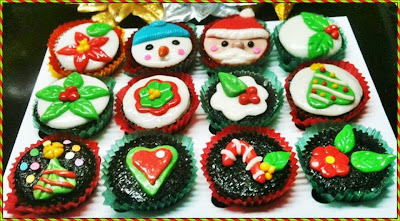 I think this will add some fun and beauty to your Christmas buffet. :) You can also make some as home made treats to your friends and families. You can try these, too. There are many ways to choose the perfect print for a room. One of those ways is to choose a print based on the colors within it. For instance, a print with lots of blues and greens in it would look appealing in a bedroom with green walls. The colors in the print would complement the color on the bedroom's walls. Discover some other ways that people choose the perfect print for a room. A person searching for the right print to add to a room's décor may choose one based on its subject matter. For instance, if a print with flowers as the subject would be appropriate in a room with a flower theme. Perhaps the throw pillows in the room bear designs of flowers and the sofa has a covering with flowers on it, as well. A print with the same theme would echo other items in the room. One example of a place that offers prints of all kinds would be Bruce Teleky Inc. Finally, some people will choose a print with a design that reflects the occupant of a room. For instance, parents may purchase a piece of children's art for a baby or young child's room. Perhaps a young child is fond of teddy bears. A print of an adorable teddy bear would be a good choice. A print with a moon and stars theme would be appropriate for a baby's nursery. Many people like to have a special meaning behind the print they choose.